Keywords: Dictionary, lexicography, dictionary entry, dictionary entry head, parameter, One-Language Parameter, User Parameter, History Parameter, Scope Parameter, Head Parameter, Language Parameter. All lexicographers and, presumably, most dictionary users know that there are several types of dictionary, which include, among others, general dictionaries, specialized dictionaries (also called special purpose dictionaries), concise dictionaries and pocket dictionaries. They also know that not all dictionaries provide the same amount and the same amount of information about headwords and other types of dictionary entry heads. What this means that all dictionaries share a set of principles, which is why they are all dictionaries, provided by the definition of a dictionary. This paper uses insights from a linguistic theory known as Principles and Parameters (P&P) to give names to the various factors or options explaining the existence of various types of dictionaries as well as differences among dictionaries belonging to the same type. The paper proposes six parameters, namely (a) the One-Language Parameter, underlying the monolingual/ bilingual / multilingual trichotomy, (b) the User Parameter, underlying the differences among dictionaries meant for specific groups of users, (c) , the History Parameter, underlying the fact whether a dictionary is etymological or not, (d) the Scope Parameter, underlying the difference in the amount of content among dictionaries, (e) the Head Parameter, underlying the nature of dictionary entry heads such as the so-called headwords and (f) the Language Parameter, underling the fact that differences in contents among dictionaries may be due to differences in grammar among the languages. 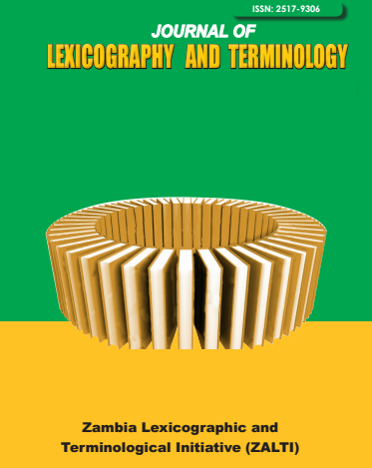 Bearing in mind the concepts of principles and parameters, the paper also examines, before concluding, the structure of dictionary entry heads and thee information about them.